Dr Natasha Grand is one of the central thinkers and practitioners in the field of place branding and identity. With a PhD in political sociology from LSE, Natasha co-founded INSTID (Institute for Identity) in 2008 to help give a sense of confidence and purpose to less-known places in emerging markets. INSTID work has been followed by global media (BBC, the Guardian, etc) as the prime example of place branding. Natasha is a judge for the CityNationPlace awards 2018, and speaks frequently to professional, public, and academic audiences alike. She has even consulted a comedy series on place branding. 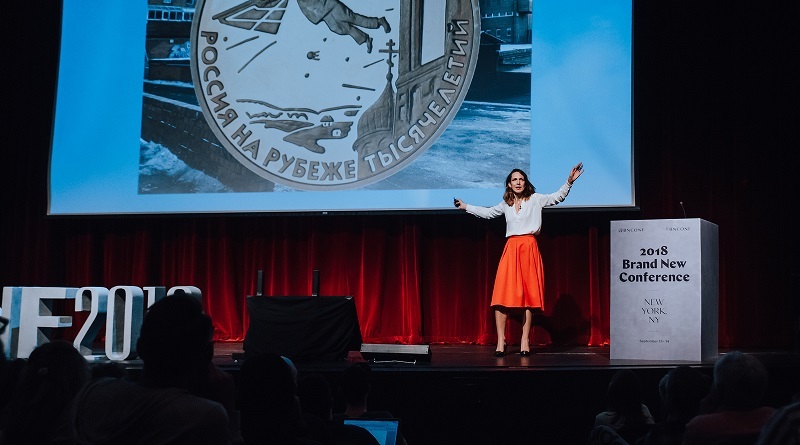 Natasha is a powerful speaker that connects with the audience and gives them courage and inspiration. More about Natasha’s work at INSTID also in our interview. Any format of speaker engagement from inspirational key notes to day-long practical workshops. How do places make people ‘belong’ to them, locals and visitors alike? How do places become a subject of our dreams and aspirations? Insights into the mechanisms that drive people’s emotional attachment to places. Common mistakes in place branding, and how to accept your place personality. How to build a popular momentum behind your place branding campaign and avoid a local backlash. Practitioners in the field of tourism, communication, and place promotion. Interested in booking Natasha as speaker? Please get in touch here.